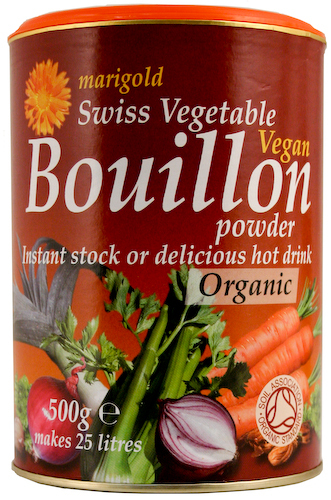 For instant stock or a delicious hot drink, Marigold Organic Bouillon Powder is a firm favourite as part of a healthy lifestyle. Free from MSG, gluten, nuts, dairy, hydrogenated oil and GMOs and suitable for vegans. Sea Salt, Maltodextrin (from maize)*, Rice Flour*, Vegetables 7.2% (onion, carrot, parsnip)*, Yeast Extract, Sunflower Oil*, Parsley*, Turmeric*. The Marigold Organic Vegetable Bouillon Powder 500g product ethics are indicated below. To learn more about these product ethics and to see related products, follow the links below. I wouldn't be without this its fab, I add it to washed rice and top up with water before cooking, just gives things a bit extra whatever you're making. 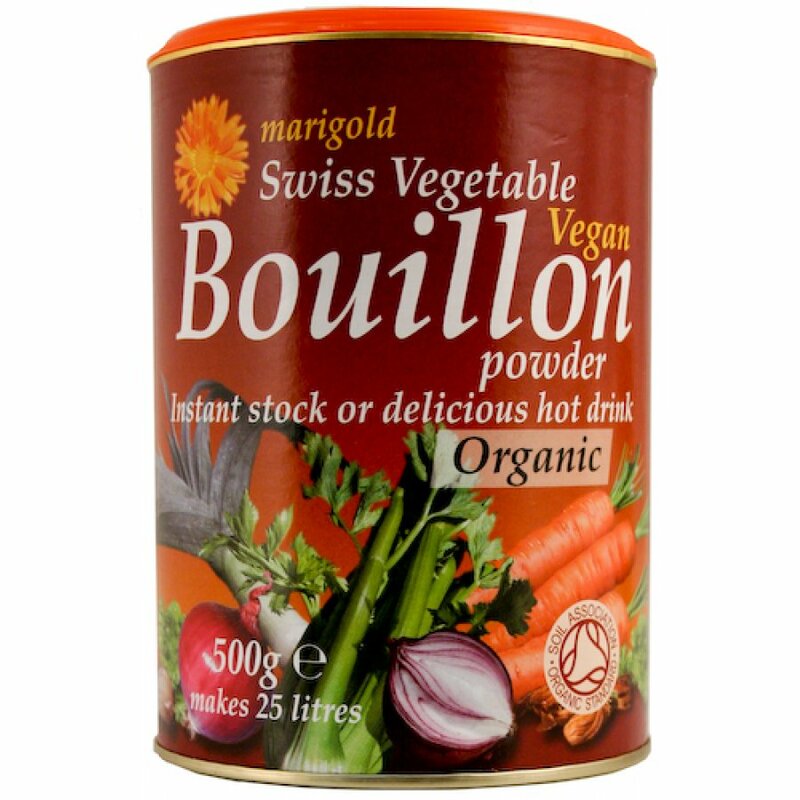 There are currently no questions to display about Marigold Organic Vegetable Bouillon Powder 500g.